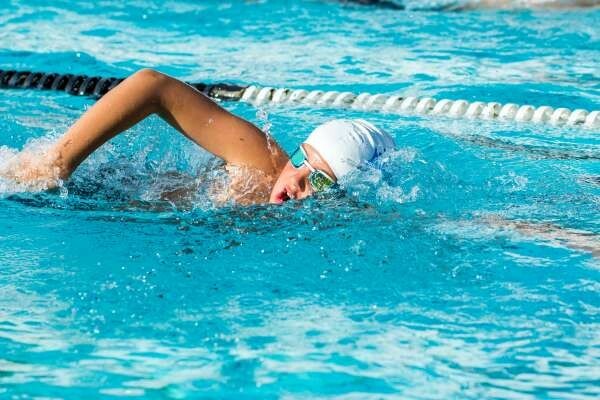 Free Swimming Event - Aquamoves – Indoor and outdoor pools, fitness facilities and programs in Shepparton, Victoria. In partnership with Shepparton Swimming Club, Aquamoves is pleased to introduce a Swimming Time Trials event! This is an awesome opportunity for swimmers to experience the excitement of racing in a fun environment and get in some practice for School Swimming Carnivals! Location: Aquamoves’ Outdoor 50m Raymond West Pool. Time: Warmup from 9.30am. Racing from 10.00am. EVENTS: 50m Freestyle, 50m Backstroke, 50m Breaststroke and Relays. A BBQ lunch will be available to purchase on the day. Verve Cafe will also be selling a wide range of food and drinks. For more information contact Aquamoves Swim School on 5832 9400. Regular Aquamoves entry fees apply. Event entry is free. All races are timed - no positions will be awarded. Kids can enter as many or as few as they like. Entrants must be able to swim 50m without stopping. Please note this is not a Swimming Victoria event and as such, times achieved during these races will not be recognised at official swimming events.